I’d thought I’d share a random photo from my journeys. Here’s a landscape that’s a bit on the alien side. These are the fairy chimneys of Kapadokya (Cappadocia), Turkey. 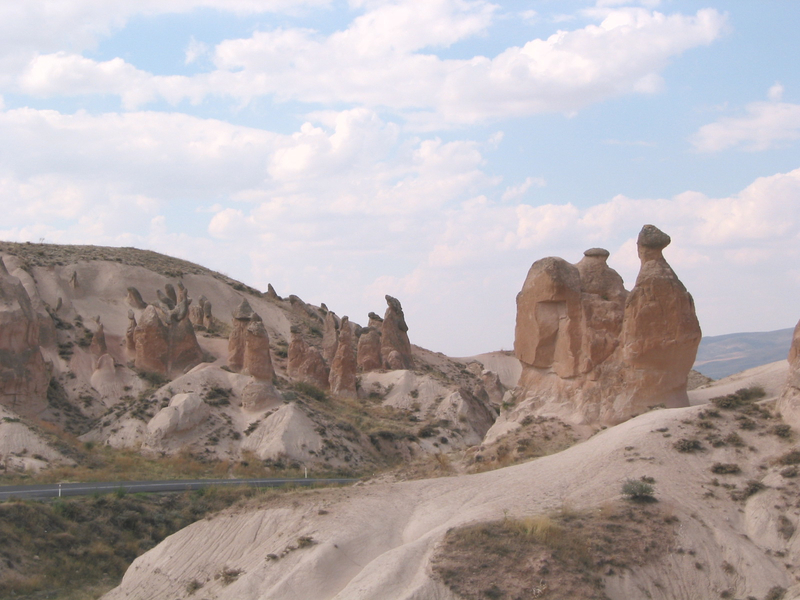 Fairy chimneys in Turkey, Photo taken in 2002 by me.